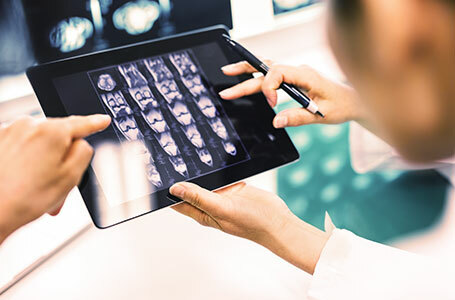 There are several kinds of medical imaging services that help us see inside the human body to diagnose, monitor, and treat conditions. At The Orthopedic Clinic, we use state-of-the-art equipment to provide the best care possible to our patients. Digital X-Ray – Digital x-ray machines use digital x-ray sensors to capture images instead of traditional film. 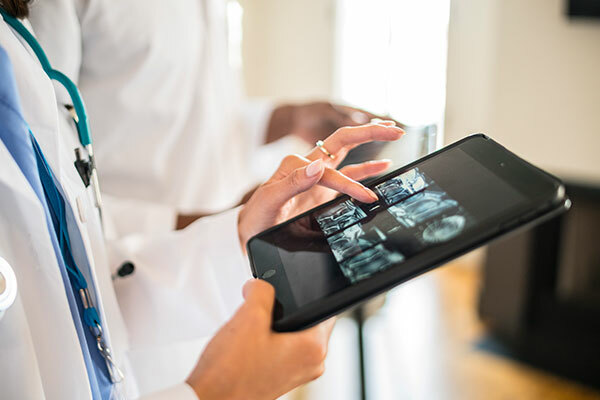 This allows us to provide the highest quality of care possible because we can view images immediately and also use less radiation than traditional x-ray machines. DEXA Machine – This machine allows us to perform bone mineral density tests. These tests detect whether you have osteoporosis, meaning your bones get weak and can more easily break. This machine helps us promote bone health and prevent osteoporotic fractures. Don’t let an orthopedic injury keep you from living life to its fullest! Our trusted, respectful team of orthopedic specialists are here to help diagnose your problem and develop a custom care plan that fits with your lifestyle.